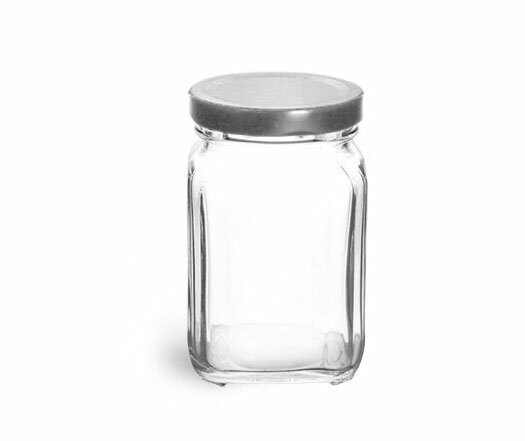 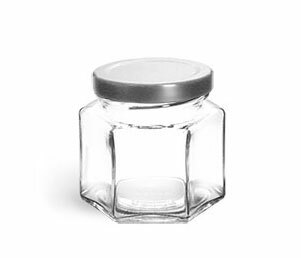 Our 1 1/2 oz hexagon jars could make great containers for travel candles. 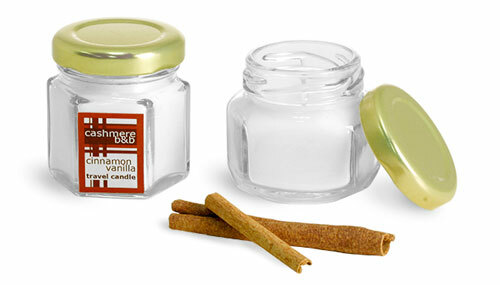 Your guests can use the amenity candle during their stay and replace the gold lug cap for easy transport. 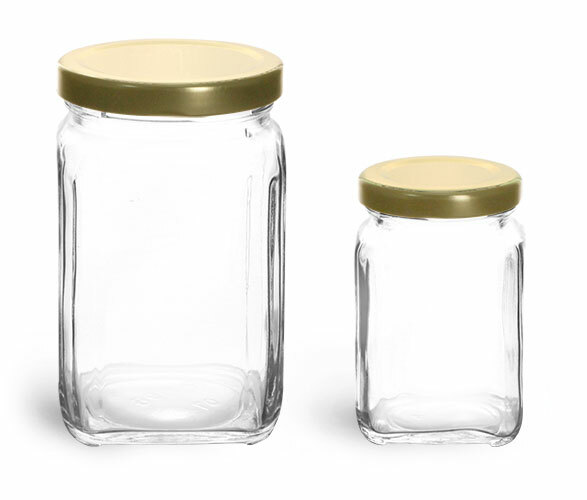 The gold caps are plastisol lined, making these jars ideal for packaging samples of homemade jam, chutney or other food items too!